Believe & Joy Holiday Tees Just $13.99! Down From $28! You are here: Home / Instagram / Believe & Joy Holiday Tees Just $13.99! Down From $28! For a limited time only! 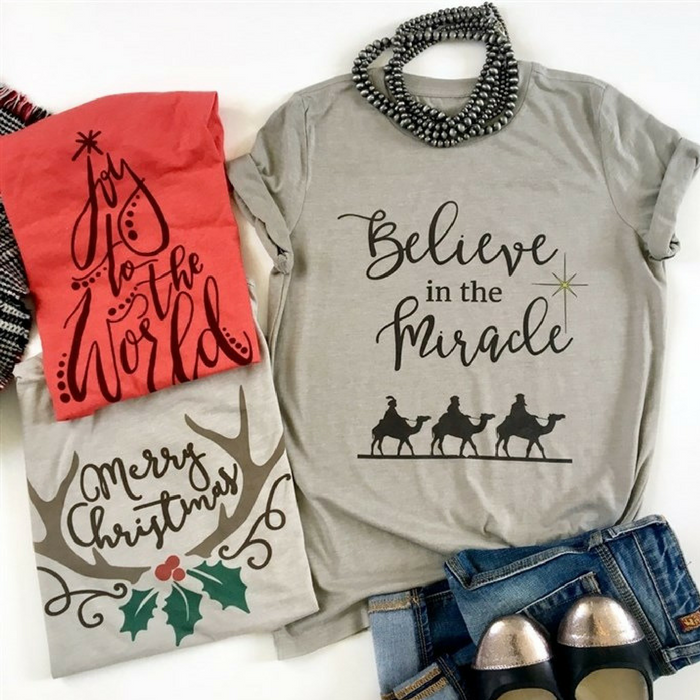 Head over to Jane to score these Believe & Joy Holiday Tees for just $13.99 down from $27.99! Shipping is $3.99 for the first item and $2.49 for each additional item! Do you believe in miracles? These tees are perfect to get you into that holiday spirit! It’s soft and comfortable available in 3 awesome designs and 4 shirt colors! Wear around town with cute skinnies and a flannel! With unisex sizing, these make the perfect gift!